Located at the bottom end of Logan this incredible space that looks straight out of a Mad Max movie will help motivate you to do this old school traditional military style of workout (no major free weights here). Chin up bars, rings, kettle bells and rowing machines as well as expert instruction in all the traditional Olympic style lifting techniques and some running are the essence of this awesome gym. 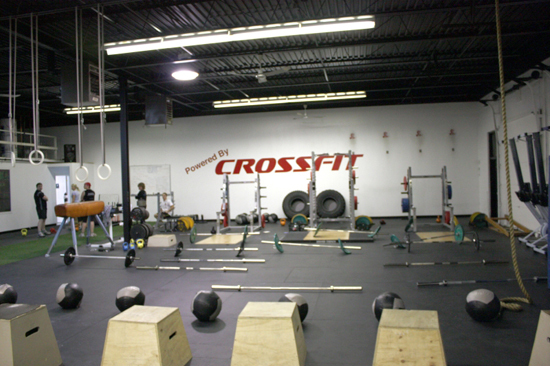 There are Crossfit gyms popping up in all of the North American big cities. So if you are looking for something a little different it will definitely appeal to you. All workouts are done in class format. There are typically between 6-12 people in a class led by an expert instructor. The classes go every hour on the hour starting at 5am breaking at mid-day and starting up again in the evening. Check out this gym if you want to feel like you’re doing Rocky’s workout routine from the movie Rocky 1. And checkout Fortis if you want another place to buff your body.